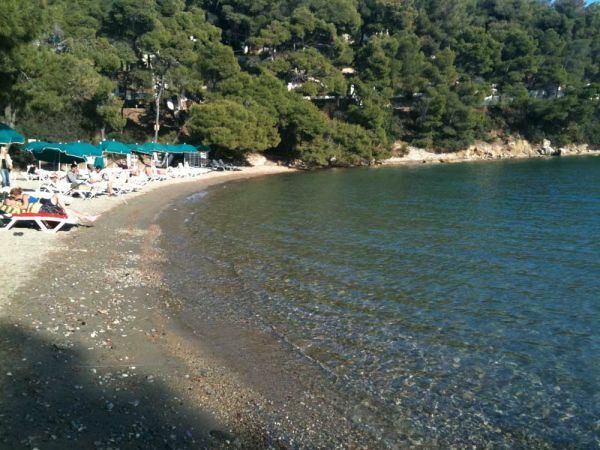 The Love Bay is a charming little beach with emerald waters, sand and small peebles. 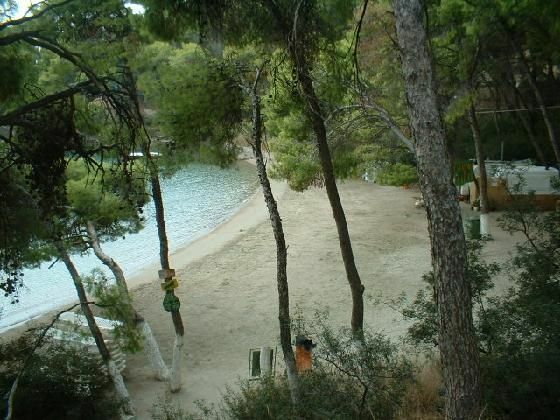 It is nested in lush pine forest and its waters are always calm, offering a paradise like setting. 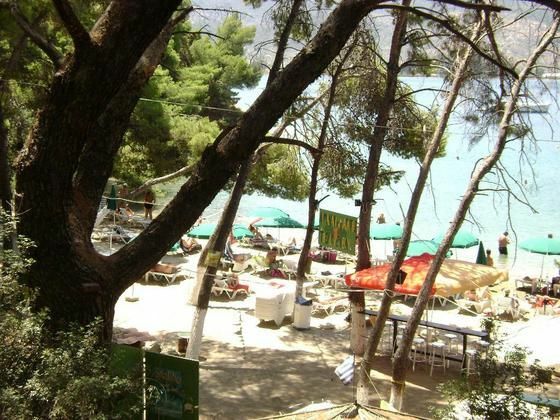 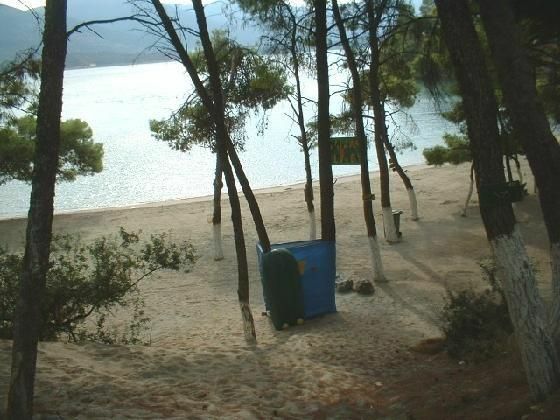 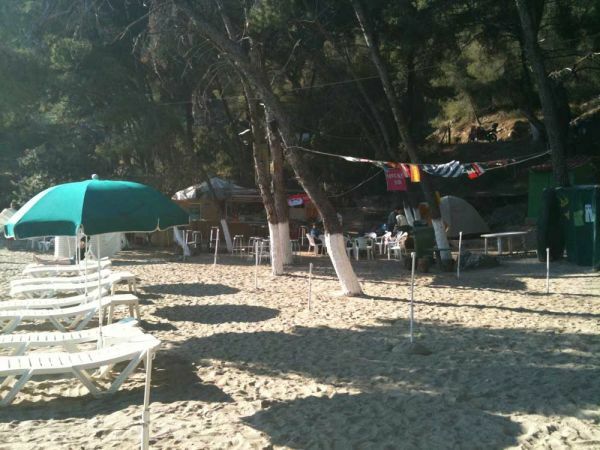 It is an organised beach, with umbrellas, sunbeds and a cantina with tables under the pine trees . 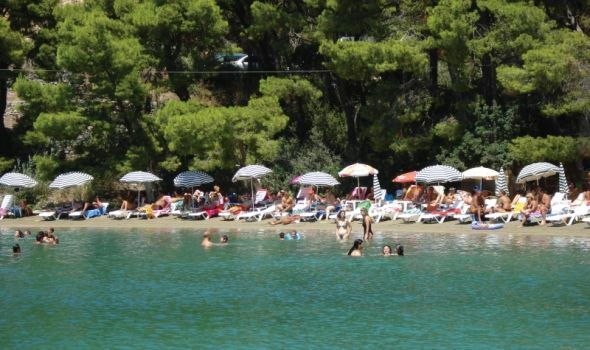 The only disadvantage of this adorable beach is that it is usually overcrowded. 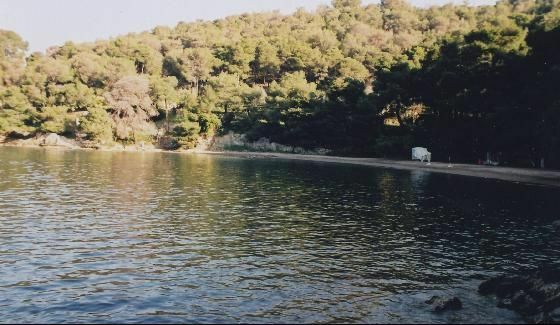 There is a bus connecting the Lover's Bay with Poros Town (port). 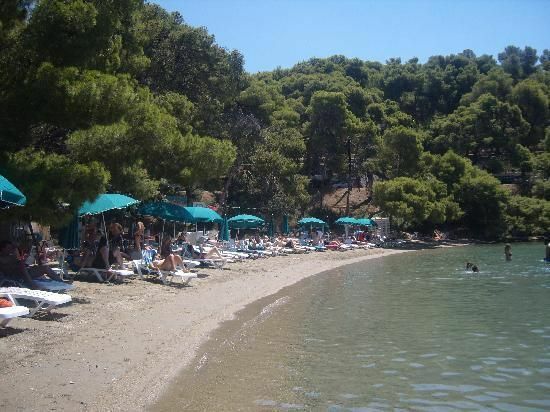 It is the same bus that goes also to the Russian Dockyard beach and departs every one hour. 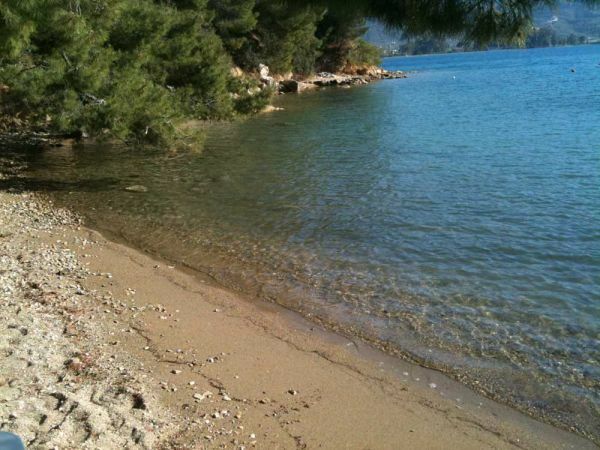 It is worth to access Love Bay on foot from Poros town. 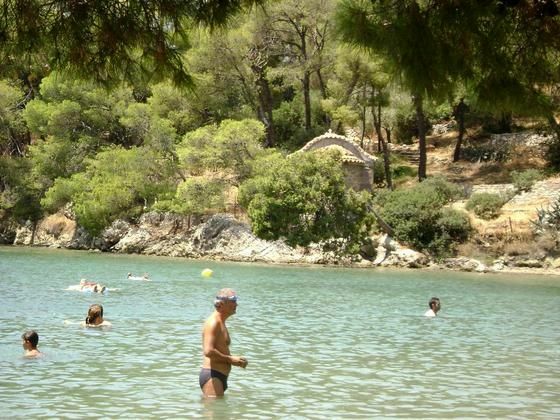 It will take you appriximately 45minutes through the coastal road, but you will have the chance to pass through some beautiful spots of Poros, such as Perlia, Kohylia beach and Neorion. 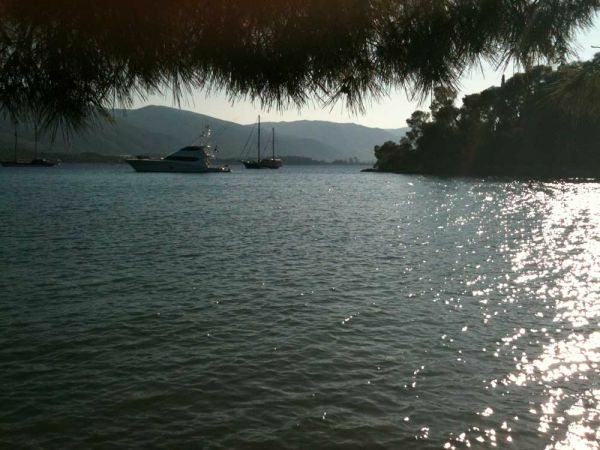 ANCHORING INFO: The Love Bay is a charming and well protected anchorage. 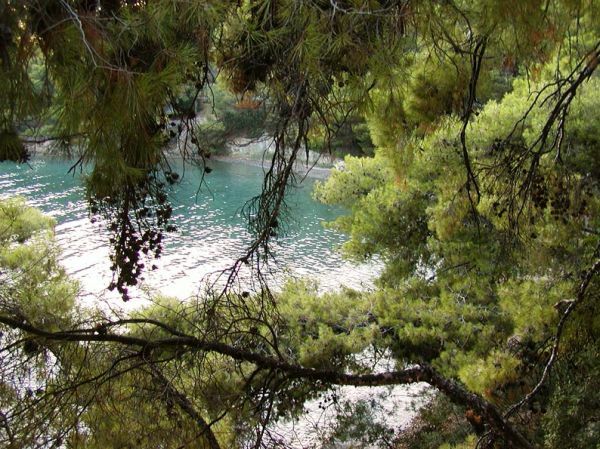 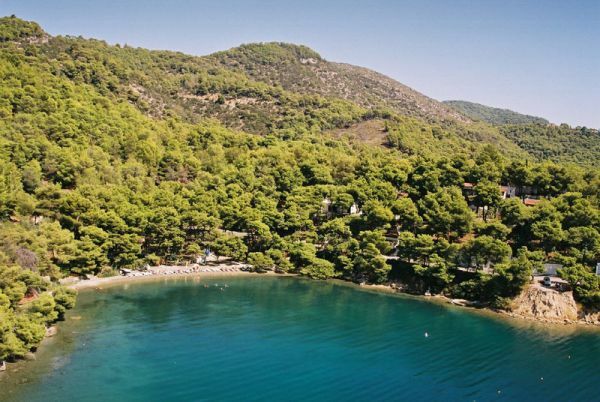 It offers calm emerald waters and a paradise-like setting full of pine trees. 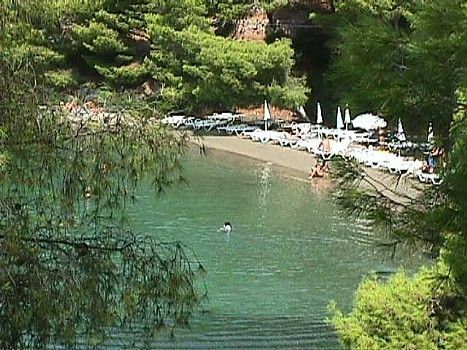 However it is a very small bay which is usually full of swimmers, so there is little space for anchoring there. 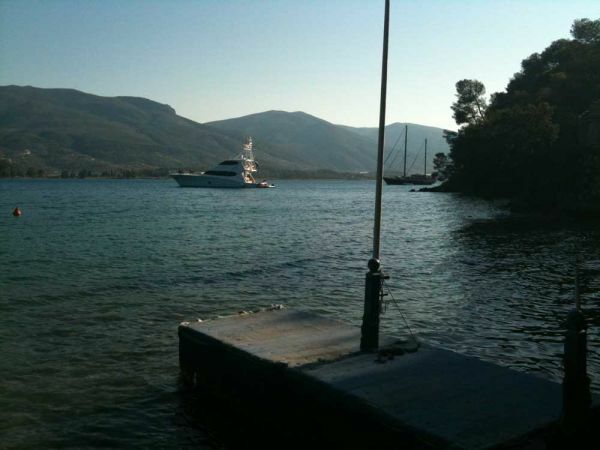 It offers a cantina and a small jetty for disembarcation. 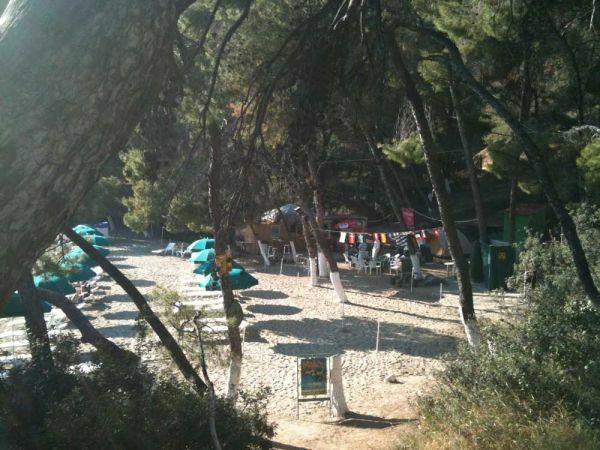 In case you need a supermarket or a taverna you may easily reach Neorion, either on foot or by tender. 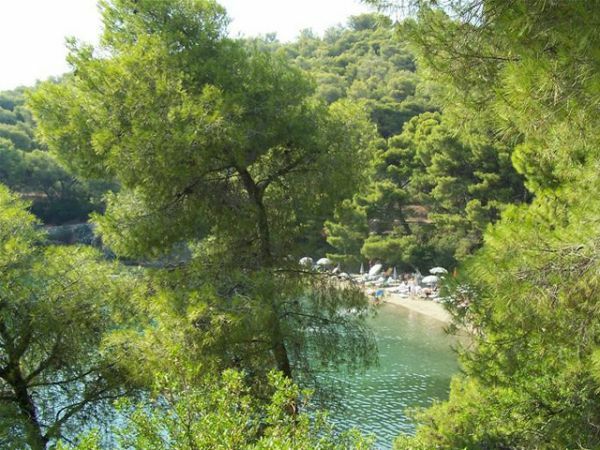 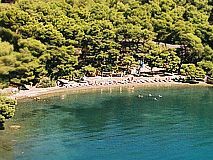 Love Bay is located quite close to Poros Town (port) and you may get there with you tender or on foot (apx 45min) through an idyllic route.